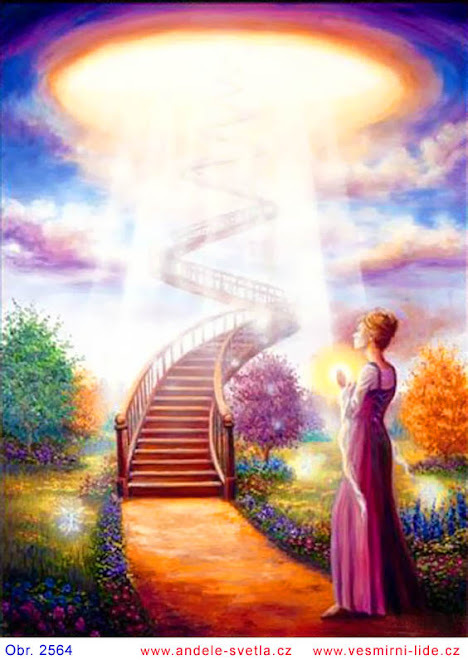 Well, what a crazed several weeks it's been once more on the merry-go-round of ascension growth and symptoms! The latest cycle on the inner journey began several weeks ago. It started with glaringly obvious physical symptoms. The first week I was subject to intense anxiety and panic (unknown to me usually), coming from nowhere but yet everywhere on, in and around my body. This was accompanied by a pre-fainting sensation, as well as a prickly heat (mostly running up and down my spine and at the base, but affecting my entire body)that kept me in an almost constant sweat. It would wake me up every 2 hours or so at night to rehydrate. Someone mentioned my symptoms sounded hormonal. As I’m of that age, I waited to see. But the following week eliminated that possibility. Because during week Two, I experienced all of the same, except for one thing. The prickly heat was a prickly cold this time! Just prior to all this starting, though, I was in the worst imaginable space, feeling like I was losing, wasn’t going to make the ‘grade’ required of me to do my mission work and similar. And seriously expecting a demotion from my HS (aka Loony), the Sisters and CM. No matter, I thought, I’d be equally happy keeping my mouth shut and sweeping the floor as my service contribution also, if that was what it came down to. Apparently, I’m not the only one to feel this way during these times. And it’s occurred to me often that when I/we are congratulated on ‘great work done’ by the Celestials, that there’s a very vast difference between working for and helping to achieve breakthroughs for the collective vibration and Mama Earth and the work and breakthroughs we’re able to do on and for ourselves on the personal front. Not that I ever stop working on myself. But I resigned myself to the fact that no matter what I tried with certain issues, I’d become like a dog chasing its tail at that point. I pleaded for help and heard the words ‘divine dispensation’ repeatedly. Meaning that according to CM and the Sisters and Creator Source, they were all saying that due to my past efforts/inner achievements I was to be granted some type of divine dispensation to assist me in getting through the last of some ancient issues. I think numerous have/are receiving this on planet at the moment. During a reading I had from someone near the start of this cycle, I was given the image of a red letter with a golden glow inside. When the letter was opened, it was discovered the golden glow belonged to a phoenix. And the phoenix brought with it miracles and untold possibilities. It was waiting to be merged with. And asked only that the letter be received and opened for all this to occur. That golden phoenix became a source of inspiration to me over the next weeks. And began taking on astronomical proportions within me. One night during my contemplation time, I was sitting in my small, low-roofed lounge when the said red letter appeared at my side. It began growing in size - getting bigger and bigger, taller and taller. Changing colour to a beautiful salmon pink as it was doing so. It was much taller and bigger than me now (think Alice in Wonderland). Suddenly, I was sucked into this letter, finding myself in a kind of vortex, being spun around and around, part of it. It’s shape had also changed to a cylindrical one, conical at the top. And then it’s colour changed to a lovely grass green. It finally stopped. But a few days before this and continuing almost daily in meditation for a week or so after this, I continued to have unusual experiences, by my standards. It began with my crown feeling like it was being opened and golden liquid-light being poured in. My crown then felt like a fountain, as if it was now overflowing with the stuff and emanating it back out. That became a feature. Another time golden rained seemed to come in at my crown, which then changed to rainbow-coloured rain. And numerous times, I’ve been pulled into a vortex (similar to above) of what feels and looks like a thick, illuminated gold plait of energy. Which is likely a process with Loony. But could also be symbolic of a literally braiding experience with someone else (see my piece on Walk-Ins). By the end of week Three when I made contact with the above-mentioned celestials and some approached me, I was congratulated again. ‘For what’? I asked. ‘You’ve made it’, was the reply. They know how skeptical I can be. That was the week which consisted of five or six nights of almost total sleeplessness – the longest period ever for me! I just could not sleep! I’d manage for an hour after tossing and turning for three, and then lie there. Like I’d just had three cups of coffee in a row. I’m hyper sensitive to everything, including caffeine. The entire period seemed as though my brain was being rewired/rebuilt/rebooted. And so I felt literally wired throughout! On the last night, I couldn’t take it anymore. And then was told I’d finally be sleeping again and be able to catch up with myself and my (now seriously zombied out) life. After that, I was told, I’d begin seeing real manifestations of this change. And was to monitor this in the responses of others towards me. Which I usually do anyway, as our individual world’s response to us is a direct reflection of where we are and what/where we need to give our healing attention to within. What I've been finding - although my contact's been very limited with others since last week - is that there is way less fear within and a more naturally-boundaried feeling with others; definitely an increase in balance coming through my emotional body. But still too early to tell more. Will report further on this later, as and when. That was the beginning of last week. And during and since then, my usual myriad of other de-light-fill symptoms (not!) have accompanied this also. Some are effects from the Earth, solar activity and the Wave also. These have been: an almost constantly screaming left ear, which sounds hollow and tinny within – alternating with what sounds like a constant, rushing waterfall there. Then there’s been a pins-and-needles (minus the discomfort) sensation at my left calf and spots on my upper leg, which then stop and move across to my right nostril of all places! And a skin softness has returned. I had this years ago as a symptom. Without using any creams on my face or body and soon after a shower, the skin becomes soft, as if it's just been moisturised. Even though the wrinkles and general degeneration seem to continue in an accelerated manner. The last few days have also felt so heavy on the brow/third eye area; very draining. A few days ago I was informed of something a bit unbelievable. As in something ‘miraculous’. And was then told to wait till next week until this process is ‘completed’ by then to see what opens for me. I've had to shut down to all else since then as I’m on a work deadline. And I’m eager to know of your own experiences over the past few weeks and currently. History is littered with the murders of good women and men who - across many fields of human endeavour - got close (dangerously close!) in uniting the people of the world. Music has always been one of the most profound expressions in bringing people to themselves and each other. And those mega-talents that choose not to sell their souls to the Elite-controlled global music industry are either kept on the fringes of success through one means or another or forced to struggle along as an independent. The most threatening combination for the Elites are those who have kept their independence, yet have still managed to make waves globally in opening hearts, bringing people together and raising consciousness. These ones lives are already on the clock. 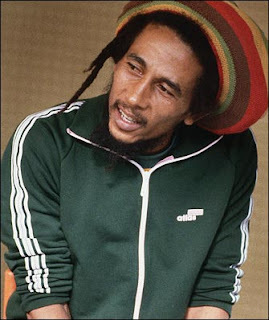 And so it was for God-inspired Nesta Robert Marley. Bless You for all you gave and sacrificed. M:It is I, Monjoronson, indeed it is. And thank you for sticking to this arrangement. Shall we begin? M:This is a message to my ones of the Light. You are each embraced with layer upon layer of Love that is beamed to you now from all manner of beings and places in service to the earth and her people who would receive this. It is for you ones to know and be open to receiving this gift and how best to utilise this within, on receipt. There is much energetic interference on your planet at present, producing jangled airwaves, so to speak. And the gifting above, amongst others, is seen as a counteractive measure against those taken by the Dark against you. You are not to go into fear of this and what it is producing, but rather identify the problems and issues within that have resulted, and then set about finding workable solutions in order to remain grounded and anchored. There is a full blown attack currently underway on your general populations as the Dark ones go all out in defence of their very existence. Here we talk of both those on and off planet. Yet wherever they are, the full brunt of the effects are taking their toll. And this is their aim. 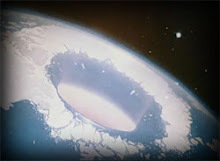 Total and complete annihilation of the human race, now that they know their attempts for world control are failing. [SK: Many of them know, but are still in denial]. But they will not win. Although they believe their ‘technology’ to be superior, having worked well for them in the past. However, these times are different ones; game-changing ones. And the rise in planetary frequencies has caused much flurry amongst them, with many of their plans belly-flopping before they’ve even had a chance to execute them. At the level of mind and in the human psyche, they are attempting last-ditch efforts to bring the vibration of the planet back down. Which, of course, will never happen. So between the onslaught of their attempts to break you by breaking your minds (collectively and individually) and the effects of the planetary bodies and the Wave, you are all having quite a ride of it. Hence our counteractive measures in beaming increasing amounts of Light encoded information and Love. Which will increase in direct proportion to the above Dark-motivated attempts. We are all but done now. A final few components that need to be properly slotted into the picture and all is then ready for a grand and dramatic start. Yes, it has been a very long time coming. But you will see -once you know and understand properly what it is that has occurred - that the ever shifting plan reached its perfect outcome. And so what you have perceived as a long delay, we prefer to see as extra time given to iron out further crinkles. And who amongst you can say that the period of extra preparation for clarity within, for the separation of the wheat from the chaff and for further personal lessons brought to bear by the Wave have not been to your benefit? We don’t believe we’ll hear from any protestors when you witness the outcome of the plan *big smile*. With grateful thanks to this one who is most generously giving of her time for such commitments. I AM Monjoronson come forth this day. Well, this is such great news for this portion of the Australian population. And especially that an 'authority' actually admitted fluoridating water is 'involuntary medication'. That's pretty enlightened and/very brave! And, as for the rest of us drinking our country's version of daily medication in the form of our respective water supplies, we need tips. On the subject, I'd be curious to know how many of you still use fluoridated other products, such as toothpaste sold in supermarkets, etc. And if you're using alternatives, what they are and why. Do share. I've been using a combo of coconut oil, diatomaceous earth and then I whiten up a couple of times weekly with a little peroxide. As reported by The Australian, former "One Nation" member of parliament (MP) Rosa Lee Long, who is now mayor of the north Queensland Tablelands Regional Council, successfully lobbied LNP to end a longstanding policy that compelled local communities to fluoridate without approval from local residents. The Australian Dental Association (ADA) and various members of the establishment government in Australia raised their usual fear-mongering in response to the landmark decision -- children's teeth will rot out of their heads without fluoride, has been their response, which mimics the same tired and unproven argument used by many American officials to defend the outdated and dangerous practice of water fluoridation.